Give your friends and family the gift of choice and let them find what they love! 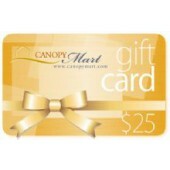 You can purchase gift certificates in increments between $25 and $500. 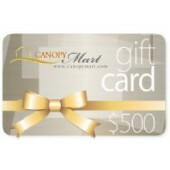 All gift certificates are electronic and are delivered via e-mail, and can be used at canopymart.com site! Gift certificates aren't taxed and there are no shipping charges for sending them. 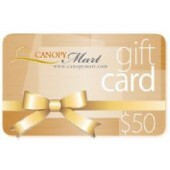 The gift certificate will be sent via email to you, the buyer. 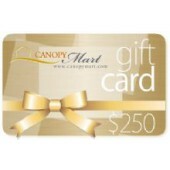 You may then choose to send the gift certificate via email, mail, or present it in person to the recipient. Prepare yourself for that warm glow you feel when you know you gave just the right thing. 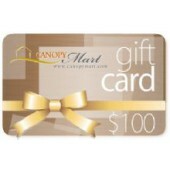 They'll love a gift certificate. They'll love you. And that's the point.